First up, don’t worry, we’ll talk about the perfect sandwich one day, but I kind of decided no one REALLY wants to hear me talk about sandwiches, so I’m going to push that back a bit. I was going to talk about some meta subject about the lag of pop-culture in video games but Facebook decided to assault me with more Razer ads and I figured why not talk about their backpack. Now let me establish something, I love bags, especially crossbody bags (satchels and messengers) and backpacks. I have ever so many bags, from canvas rucksacks to designer messengers to high-end hiking tech backpacks (which are amazing for travel because they’re way more resilient). So when it comes to bags, I am pretty well versed in the concept. Here’s the deal, Razer has a new product called the Razer Utility Backpack and it’s designed to take tech gear on the go. Now, before you get excited, this is a concept as old as the “laptop bag.” The precursor to the messenger resurgence, laptop bags were a cross between a messenger bag and a briefcase. They usually had a crossbody strap attached to them, but were very thick and heft to handle the huge size of the old era laptops. So let’s get that out of the way - bags to carry computers is something that’s got its own isle in department stores and office supply stores. There isn’t anything new going on here with the idea of bags designed for tech goods. That’s alright though, because you can make a bag better. Timbuk2 for instance always, in my opinion, keeps making bags better, even if they’re usually the same generic design. The first thing that Razer showcases about this new bag is the “Military-grade durability.” Now, just to put this out there - that’s marketing lingo for any kind of durability, because the military uses everything from canvas to high-tech polymers for materials. It does drill down to “ballistic nylon” which is a pretty good material for a backpack. So good that in fact, lots of luggage and outdoor gear companies use ballistic nylon. At MSRP ($69.99) you’re looking at an alright price for the material. It’s important to use ripstop or ballistic nylon in the construction of a bag used to carry expensive tech goods, because you want to avoid any rips or tears. If a rip opens, your notebook computer could fly out and shatter the screen. That’s no fun at all. So yeah, the material checks out. It has a sternum strap, which is great for helping to balance the weight on your back. There are also side straps which are um, I guess good, although I’ve never found a situation where I needed to tighten up a bag, they look cool at least. There isn’t a good shot of the interior, but it seems to have no features at all here. This is where the bag starts to sort of go downhill with me - most good bags have compartments like woah to help store and keep stuff safe. Some bags have way too many, which is alright, you just don’t use them, but for the most part it’s great to have places to stuff things to keep organized and keep cables and stuff clean and out of the way of books. So I don’t know if this has a ton, but they’re not advertised, outside of a divider to hold a 15” notebook, which is cool, but there is also a serious lack of details in regards to the internals and even after it's gone on sale, I can't find any pictures of what the insides look. I imagine it's hallow, in a way, but at the same time when it comes to bags a few pockets comes in really handy. In my Timbuk2 bag, when I travel with it, it saves me so much time and effort to just be organized. It's my go-to bag sitting next to the door that I take with me when I leave and I have to do something in regards to computing. On the other hand, zippers on the interior can cause scratches, so it could be beneficial to have just one wide open space to jam all your tech gear into. I would suggest seeing the bag before buying it, it's obviously important to see what you're getting into before making a purchase this size, but at the same time if you are a big Razer enthusist or you want some designer cred at your next gaming meet, then it's definitely not a bad purchase in that regard. As far as a bag goes, I would almost suggest going to your local sports store and checking out the high-tech bags they have there. A frequent comment on that bag was "can I shove my tower into it" which I mean, come on, do you really want to carry a behemoth of a gaming computer on your back? No? Yes? Well, anyway, I want to just make a brief aside to talk about transport. First, computer components in this modern era that we live in are rock solid, so you don't have to be careful of anything but glass and dropping something. Your computer in the back seat of a car is completely and totally okay, no need to load it into an oversized suitcase with tons of bubble wrap (I've seen this). All that's going to do is make it uncomfortable when you arrive and have to wheel the suitcase in and deal with all the packing materials. The best way to move big components is to put your tower in the back seat and put all of your accessories in a backpack, then bring a portable handtruck with you. When you arrive at your destination, put your tower on the handtruck and wheel it into the location, put the tower down on the ground and slide the handtruck from underneath it, then pull out all your sweet gaming gear from your backpack. Fold up the handtruck and put it with your backpack, then return to the car and walk the monitor in (the thing that you REALLY have to seriously be careful with since LCD screens can scratch on doorways or people's zippers as they run into you or anything). If, for some reason, you don't want your computer to sit on a handtruck and get scratched or if the base of it isn't holding it and it's wobbly (you can use cords to tie it on more securly), then placing it inside of a box and trucking that around might work better. Don't carry your computer. Just, don't, I mean everyone does it and everyone looks stupid doing it, but you'll regret it when you fall face first into your PC and, during the fall, something comes loose inside of it and messes up like three components or cuts a water cooling tube, and you have all this egg on your face. I'd seriously, if you were going to carry it, have like a friend just carry it with you. You'll like 2x the stupid, but it's a lot safer for your and your componeents. Unless it's a mini-case, then just one-hand carry that in. Who games with a mini-case tho? For laptops, you want a really nice backpack. Thick padding isn't as important as you think, it's the physical material and if it will or will not rip. 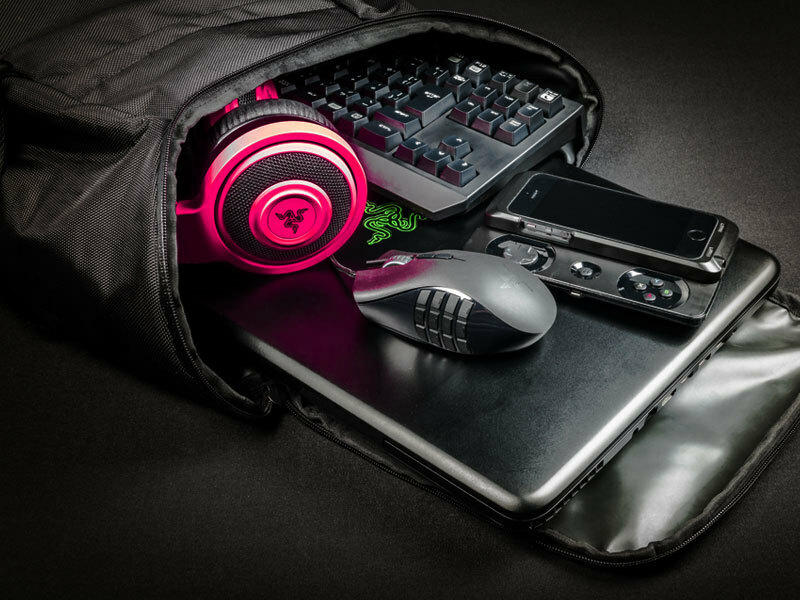 Backpacks are a game of risk, basically, because if it rips and your laptop flies out, it's probably gone. Dead in the water. Forever lost to the ether of broken components. So while a cheap school backpack will fit most laptops, it could possibly rip and your $1,200 gaming laptop is now gone and costs as much as a new one to fix for the broken everything. For this reason, I primarily aim to only use like Columbia backpacks of North Face or really any hiking backpack with a laptop componenet. These things are beasts and won't rip or tear, plus have all kinds of pockets for water and other things, and are super comfortable as well. Ordering online is nice, but buying from a retail outlet is good as well because you can fit the backpack on and see how it fits and how comfortable it is. It's really crazy to me that a lot of college or even high school kids who purchase their own or involved in the purchase of their own backpack don't care about how comfortable it is, even though they have to wear it for hours each day full of really heavy books. So with that respect, get something comfortable. As far as messenger bags go, they are uncomfortable and hard to wear, and present a lot of issues but are much more secure. If you have a really nice laptop, I'd suggest using a messenger bag. It keeps it tight to the body, lower to the ground, and within sight. They're great for moving from one area to another and carrying a lot with you, while being easier to store, but you'll have a lot of neck strain and I find the bigger the crossbody strap, the more uncomfortable it is, even if everyone says different. Well I hope this has been an illuminating experience. Tomorrow join me as we talk about something. I don't know what that something is, but it'll be something.